I'm here in Williamsburg, Virginia mapping the northern-most range of the Brood XIX periodical cicadas. I woke up at 4:30 this morning and drove all of 12 hours to get here. Unfortunately, Brood XIX's distribution in Virginia is historically spotty at best. There are only minor emergence areas and some can be less than a mile wide. Not only is Brood XIX known to be in Virginia but there is a small area on the Eastern Shore of Maryland. My friend and colleague, John Zyla from Cicadas.info has been researching and maintaining records of all the different broods of periodical cicadas for the mid-atlantic states. 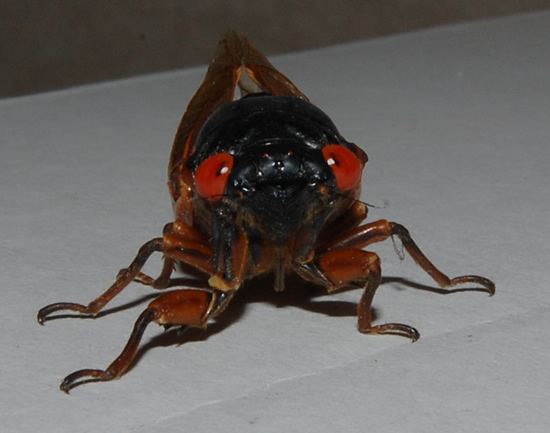 In fact John was the one that discovered the small brood of periodical cicadas in Maryland in 1998. 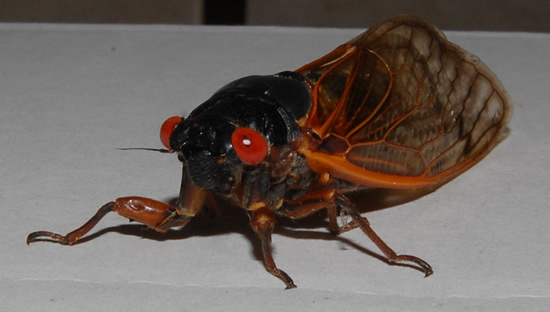 But John's research isn't just limited to periodical cicadas. 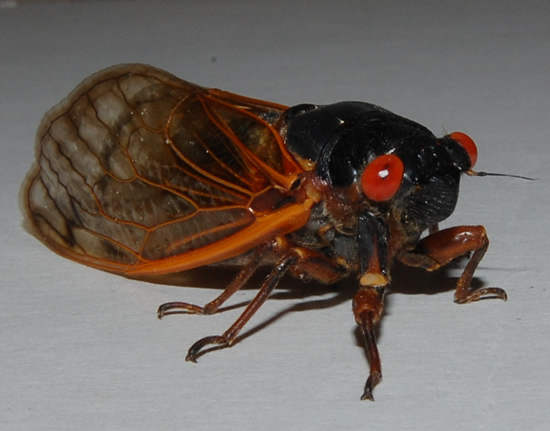 John also studies, reports and maintains distribution maps on annual cicadas for the mid-atlantic states as well. Since I had some free time I emailed John and told him I was coming to Virginia to see what there was to see and do some mapping. He asked if I would be willing to lend a hand with his project. I of course accepted on the condition that we each share our data. Our strategy is to divide up the known ranges for Brood XIX into areas north and west of Williamsburg and areas south and east of Williamsburg. I will take the southern mapping area and John will take the northern area. I am glad that I have a week! Preliminary Findings: Periodicals in Ashland and Hanover, Va.
To be honest, I really wasn't expecting to find any periodical cicadas during my drive to Williamsburg. After crossing the Potomac River while driving south on Rt 301, I crossed the Virginia border and decided to roll down the windows to hopefully start to hear periodicals. Sure enough approximately 45 minutes after crossing the river I began to hear M. tredecassini in small pockets along 301. The area was only about 2 miles long and was over rather quickly. Thanks to the reports that I have received from this area, decided to try and obtain some specimens today at sunset after I went out to dinner and obtain a local map. Below is a photo of the live female M. tredecim. Sorry that's all I got for you today. Tomorrow I'm supposed to meet with some people who are going to show me around Williamsburg and the areas where they are hearing the cicadas. Hi, I believe your blog may be having internet browser compatibility issues. Whenever I take a look at your website in Safari, it looks fine however when opening in Internet Explorer, it has some overlapping issues. I just wanted to give you a quick heads up! Other than that, wonderful site! Howdy! This blog post couldn't be written much better! Going through this article reminds me of my previous roommate! He continually kept talking about this. I will forward this post to him. Pretty sure he'll have a great read. Thanks for sharing!